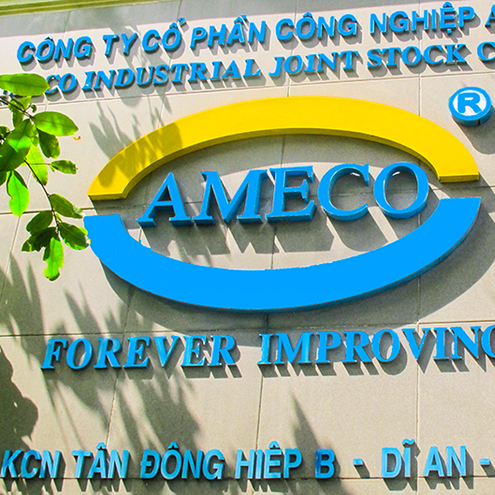 Started since 2000, AMECO is one of the pioneers that has succeeded in making Roll-forming and Metal Processing Machinery in Vietnam. 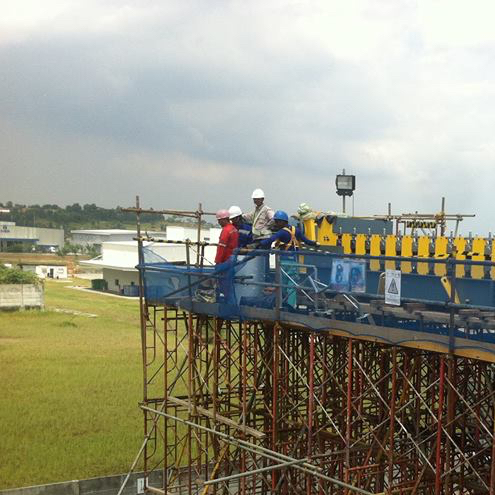 AMECO is always a strong team. Creative - Clean - Responsible. 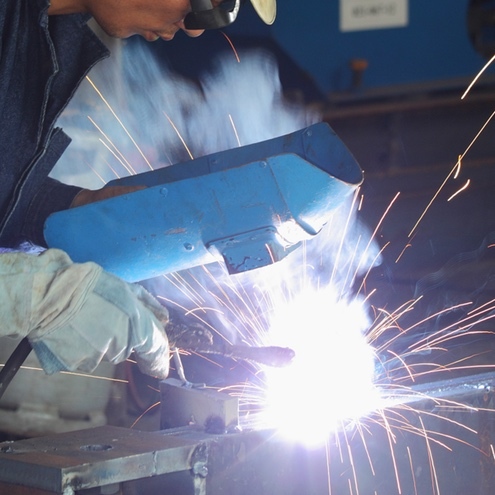 Until 2018, more than 4,000 of roll forming and metal processing machinery have been manufactured covering various industries such as steel-building, metal-tech, sheet steel processing, decoration, and automotive which were provided to all 64 provinces and cities in Vietnam, as well as those exported to over 40 countries in 5 continents, e.g. Thailand, Laos, Cambodia, Indonesia, Malaysia, the Philippines, Middle East, Africa, Europe, Oceania, South America and the USA. Bringing your custom profiles to life. To improve producing quality machines to satisfy the highest requirements of customers with the best support so that AMECO's products actually bring high economic efficiency. Overcoming all challenges and maintaining the leading position in the ASEAN region in manufacturing Roll-forming and Metal Processing Machinery. Applying advanced management method to assert the position in the market of metal forming machine inside and outside the area. Provide quality products with reasonable prices. Be innovation, creativity in design, technology and management, and bringing benefits to customers. Develop highly specialized human resources. Constantly innovating in every thought and action. 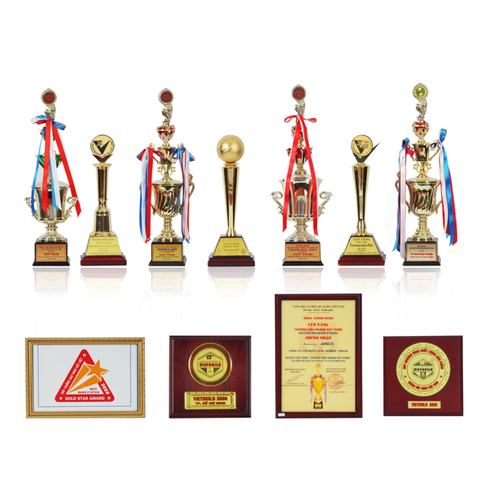 AMECO has a team of highly motivated staff who are specialized in their work and management practices. The factory is fully equipped with high-precision CNC machines, along with a team of talented engineers each with more than 10 years experience, in addition to maintaining a complement of more than 150 skilled workers. AMECO Team regularly participates in Conference and Exhibition on Control and Automation, training courses organized or sponsored by the Company. Support for day-to-day comfort providing prompt responses and user-friendly supports with solid technology, we continuously improve our after-sales service quality for customers so that you choose AMECO’s products again. Using advanced technology, modern machinery and equipment such as lathes, CNC precision machining machines, plasma cutting machines, vacuum heat treatment technology, inverter, servo motors, PLC, touch screen, etc. along with applying the Kaizen and 5S Principles to the manufacturing process help improving the accuracy of machine parts; machine operates smoothly and is easy to use; steel products after shaping is uniform, the edges are keen, the surface of the original steel is not scratched and the dimensions are precise up to millimeter. Tooling & manufacturing facility in Ward 17, Go Vap District, Ho Chi Minh City. 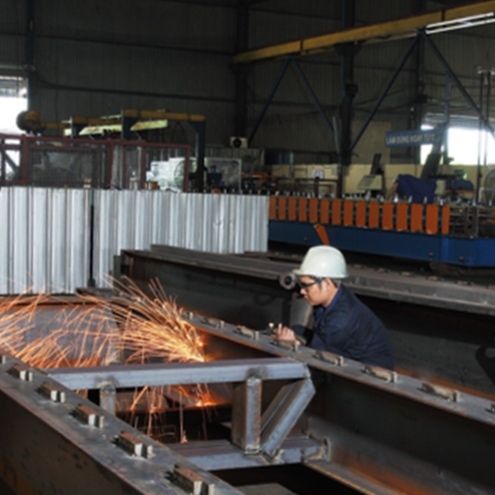 Main products: Roofing Roll Forming Machine and Purlin Roll Forming Machine. Established An Loc Industrial Mechanic Company Limited in Thanh Loc Ward, District 12, Ho Chi Minh City, Vietnam. Main products: Metal Roof and Wall Roll Forming Machine, Purlin Roll Forming Machine, Leveling Cutting machine, Racking- Ceiling Roll Forming Machine, and Cranes. Produced machines which had appeared in Vietnam: Kliplok Sheet Roll Forming Machine and Automatic Folding Machine. 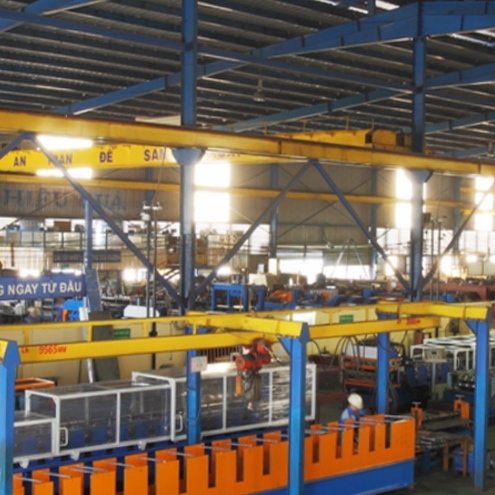 Investing in the construction of a 6,000 m2 steel workshop in Tan Dong Hiep B Industrial Park, Di An District, Binh Duong Province, with more than 150 skilled technicians. 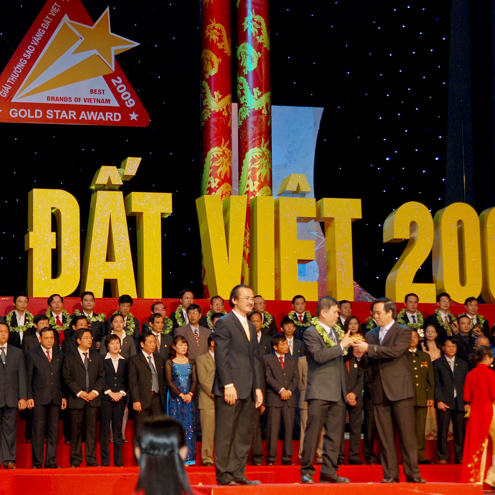 Top ten Gold Cup Vietnamese Quality Brand of Mechanical Industry in 2006, 2007. June: Established representative office at Tecasin Business Center, No. 243 - 243B Hoang Van Thu, Ward 1, Tan Binh Dist. July: AMECO officially converted from An Loc Industrial Mechanics Company Limited to AMECO Industrial Joint Stock Company. Construction Trade Gold Cup at Vietbuild Fair 2007, 2008, 2009, 2010 - Ministry of Construction. Certificate for the Quality Management System of AMECO Industrial JSC according to the requirements of ISO9001:2008, No.73Q10075, granted by GlobalGROUP, UK. Certificate of Successful Implementation 5S Principles (granted by PMC). Since 2009, AMECO has invested heavily in human resources and has built an effective management organization, applying advanced management tools in production to reach out to the world. AMECO launched a series of new high-tech products that significantly increased the added value of the product and conquered the metal roll forming machine market in Thailand. Representative office moved to 6th floor, Block A, Waseco building, No.10 Pho Quang street, Ward 2, Tan Binh district, Ho Chi Minh city. Exported to over 35 countries across 5 continents. 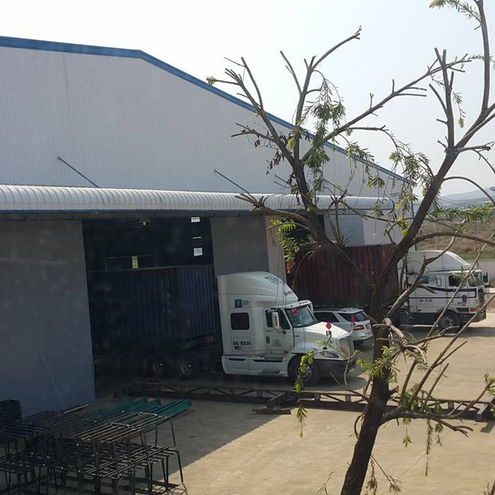 Investing in the construction of a 1.5-hectare Factory located in Dong Nai Province, AMECO is equipped with full metal sheet-forming-solutions that were accumulated from excellent, solid manufacturing practices.